Ever take an underexposed image, open it in Lightroom, correct the exposure level, only to be greeted with the sight of horrible digital noise? You then try to reduce the digital noise but end with a waxy and unnatural looking photo. Hopefully this tutorial will solve those problems. 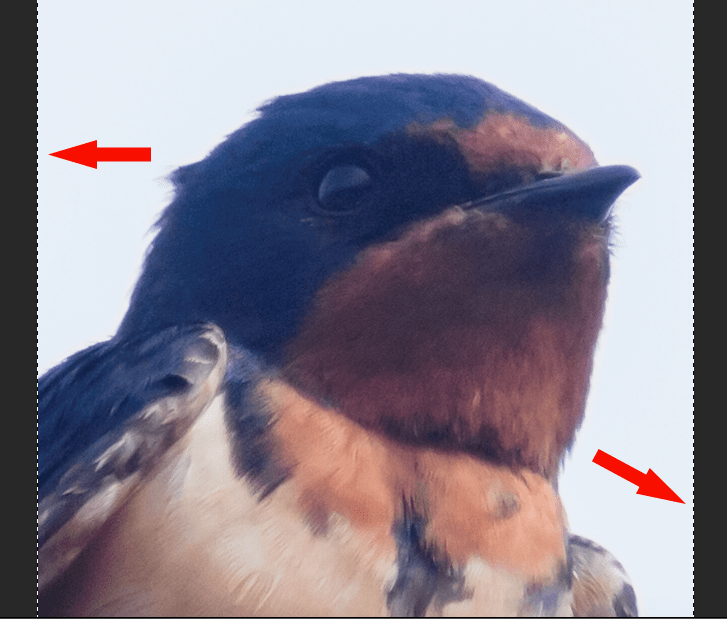 This is my method of reducing digital noise in a photo without giving the entire image a waxy look that destroys the details. 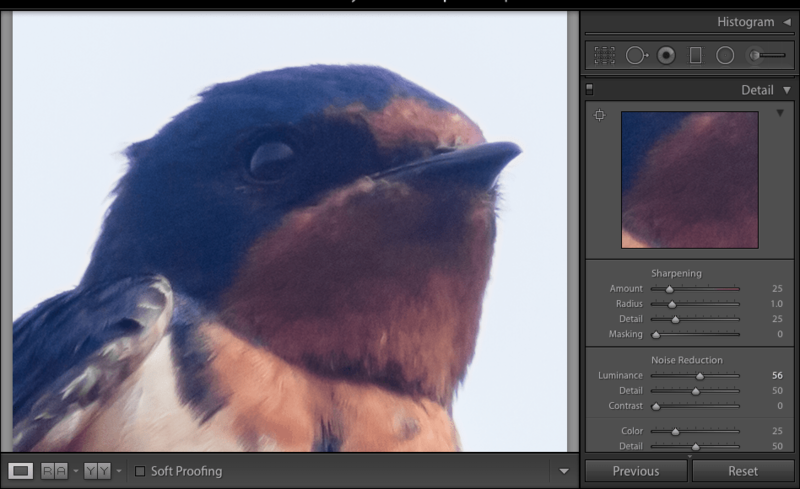 You will need Adobe Lightroom and Photoshop for this tutorial. Open the image you want to modify in Adobe Lightroom. 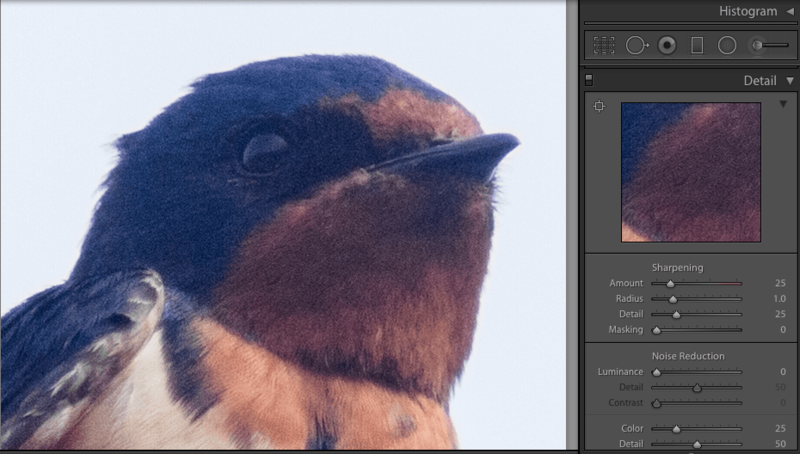 After you make all the light and colour adjustments to your image go to the Detail panel and locate the Luminance slider under Noise Reduction. 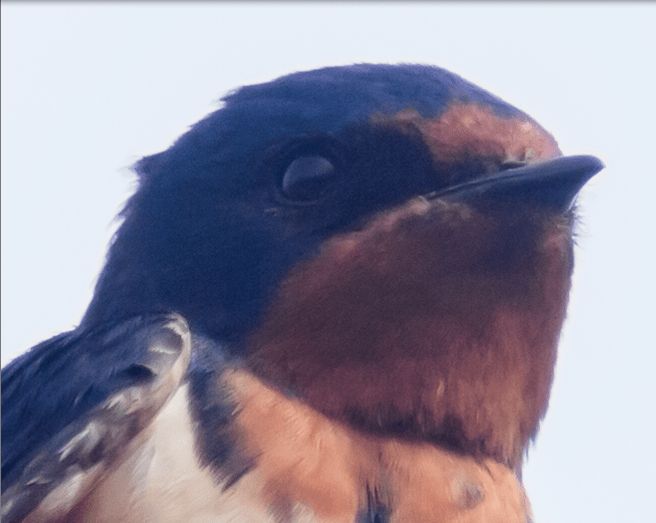 If you’re using a RAW image leave the Sharpening slider at 25 default. If you’re using a jpeg leave the Sharpening at the 0 default. Raise the Noise reduction slider to the point where the image, especially in the dark areas, is waxy and poorly defined. 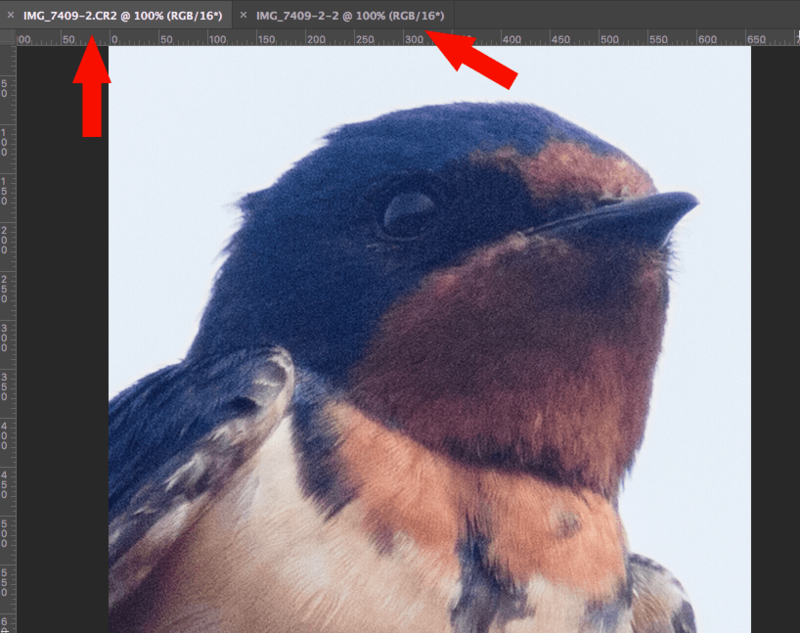 Right click on the image and select edit in Photoshop. The image will now be opened in Photoshop. 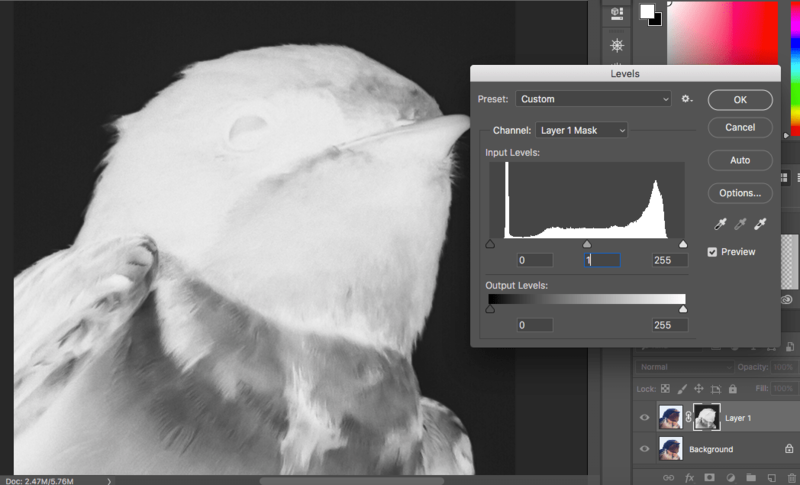 Go back to Lightroom and reduce the Luminance slider to anywhere from 0 to 10. 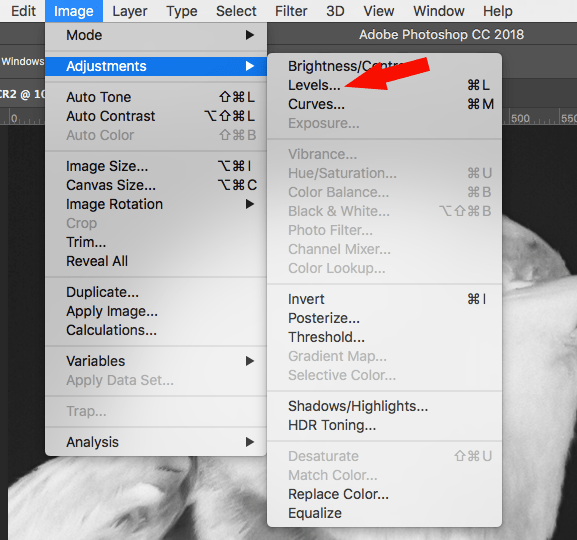 Follow the same steps as previously to open the image again in Photoshop. 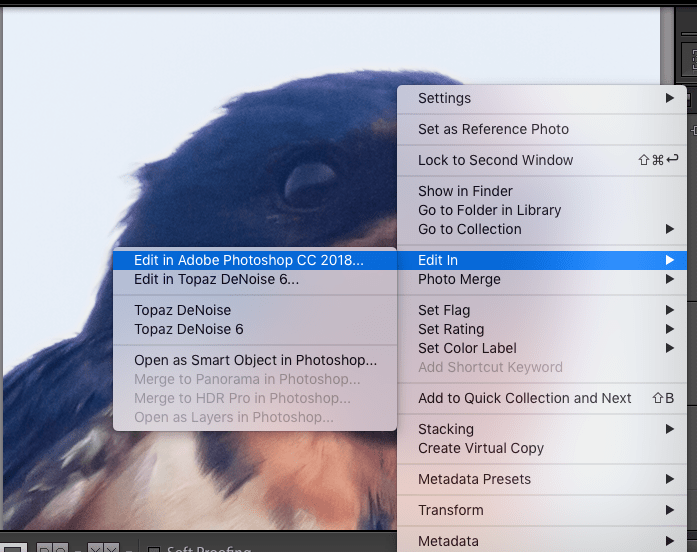 You will now have two different images open in Photoshop. Zoom in to 100% so you are sure which one is the Noise Reduced image. This is the image WITHOUT Noise Reduction. Then press cmd+A (MAC) or ctrl+A (PC) to select the entire image (you should see the “dancing ants” as pointed by the arrows), then cmd+C or ctrl+C to copy the image. Go back to the image without noise reduction and press cmd+V or ctrl+V. 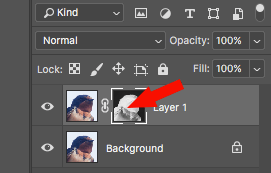 Photoshop automatically creates a new layer that will go on top the original layer. 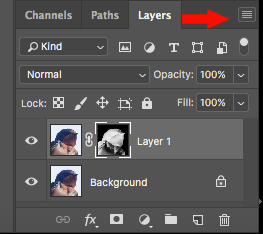 If you cannot find the layers panel go the the menu on the top of Photoshop, select Windows and scroll down to Layers. Toggle the little eye to see the differences between the two layers, but make sure the eye is back on before the next step. Click on the Channels tab to open the Channels tab. 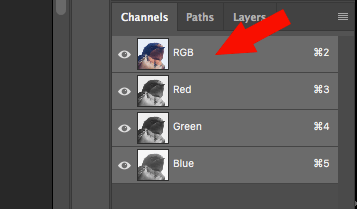 Hold the cmd or ctrl key and click on the thumbnail image titled RGB. You should see a selection (or dancing ants) on the image. 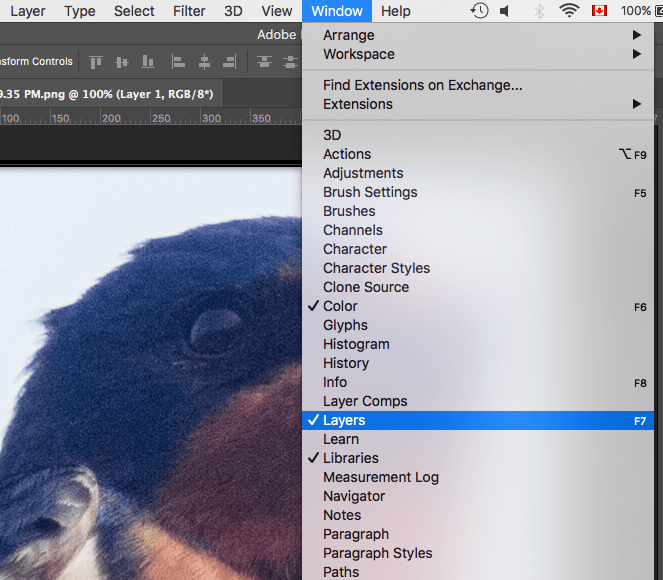 Go to the menu at the top of Photoshop and find Select. From the Select menu select Inverse. 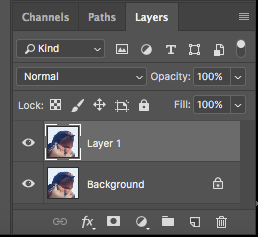 No go back to the Channels panel and switch the tab back to Layers. 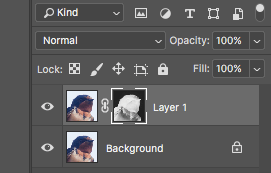 Look for the rectangle with a hole in it at the bottom of the Layers panel. 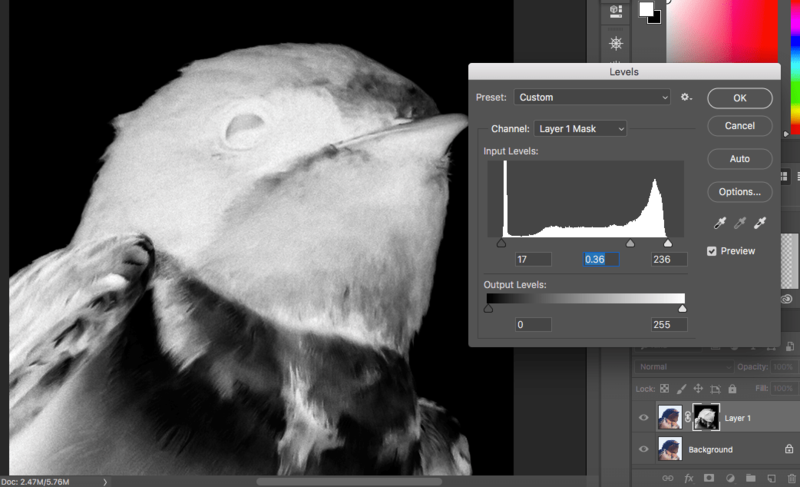 This makes a layer mask. Click on it. You have created a layer mask. It should look like an inverted Black and White image. 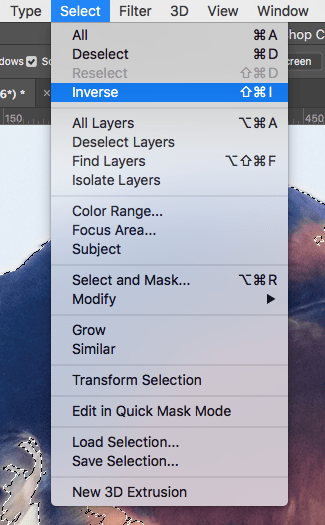 To see the mask properly alt+click on the little black and white thumbnail in the Layers menu. Hold down the alt key and click. The mask will show up in the main display area. 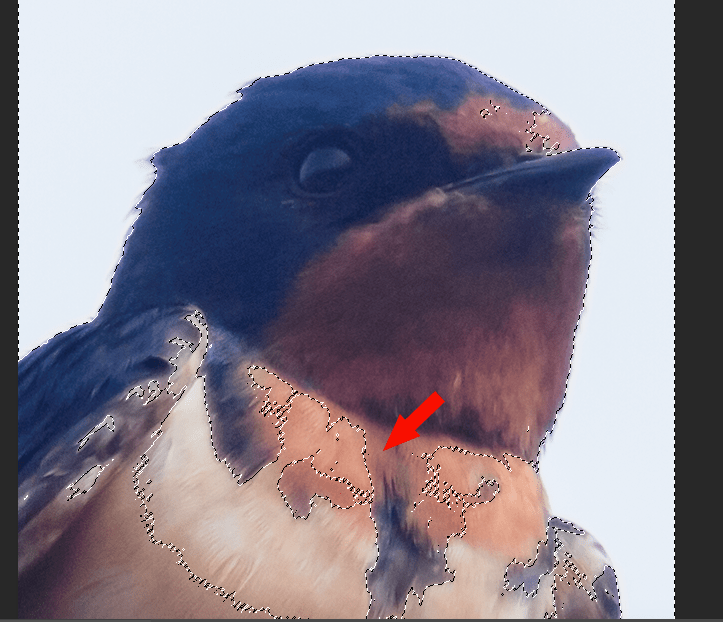 What is happening is the black areas of the mask are hiding the lighter areas of the waxy noise reduced layer while the darker images are still being displayed. At this point you may want to make some refinements to your mask. Go the Image section of the top menu and select Adjustments, then Levels. Bring the black and white sliders inwards and adjust the middle slider depending to taste. The darker the mask the less of the noise reduced image will be visible in the final edit. Refining the levels of the mask. 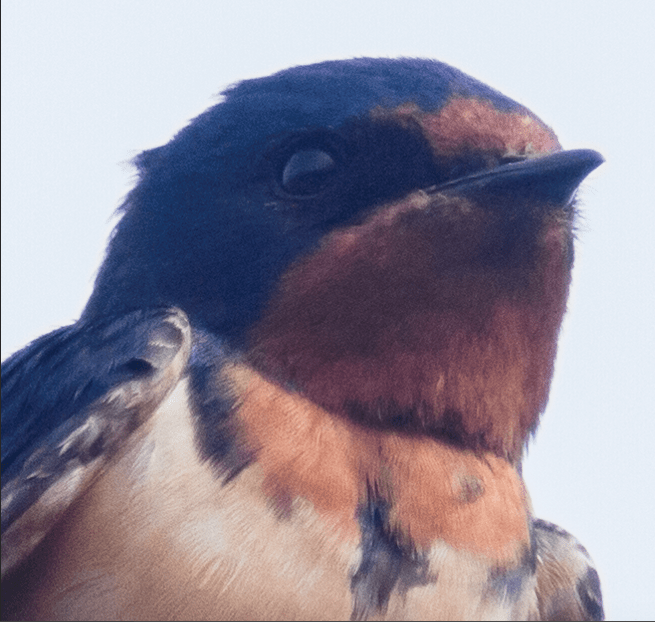 Once you have made adjustments click OK to exit Levels and then alt+click on the mask thumbnail to leave the mask and return to the main image. Click on the little eye to turn off the noise reduced image and view the original image without the noise reduced layer. Make sure to turn it back on before the next step. 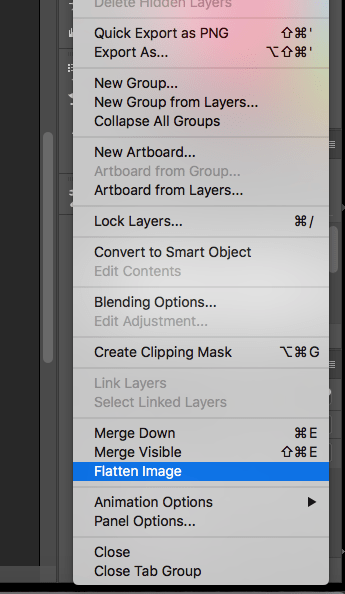 Go the the little side menu in the Layers panel, open it, and select flatten image. This will combine the two layers into one. This is why it’s important to make sure both layers are on. Next save the image as the default TIF file. It should automatically open in Lightroom and you can make further adjustments as required. Here are the original images and the final image for comparison. The light areas kept the detail while the darker areas are much smoother. Unfortunately the uploading compression has reduced the quality of the image. Image with heavy Noise Reduction. Final image after combining the two layers. This is a fellow of my acquaintance called Steve. Steve is remarkable. I’ve known cats who seemed very intelligent, I’ve known cats who were quite dumb, but I’ve never met one who is both to such a high degree. Yes, Steve is the smartest and dumbest cat I’ve ever encountered. These peaks and valleys of Steve’s intellect make him the perfect subject for a cartoon/comic strip (think Sylvester). That doesn’t mean I’m going to produce one, since that would involve going through a ton of tutorials and re-learning Flash, but I can hone and practice my Adobe Illustrator skills designing a caricature. This drawing is my first go at creating a cartoon cat, and to be honest, I don’t think I’m there yet. It’s not “cartoony” enough and lacks a certain fluidity. The paws should be bigger and the face is too realistic. For my next drawing I will leave out the colour all together and focus entirely on the design and dimensions. As for Steve, he has a bad case of cabin fever waiting for this interminable winter to end so he can chase mice and birds to his heart’s content. I traced the vector illustration in Photoshop and came up with this black and white drawing. While it still needs refinement I find this drawing has more life and dynamism then the vector illustration. The next step will be changing the pose of the cat to be more natural. Here is the tracing filled with colour. I’m pretty happy with how it looks, so the next goal is creating new sketches from different angles and positions using the same style.